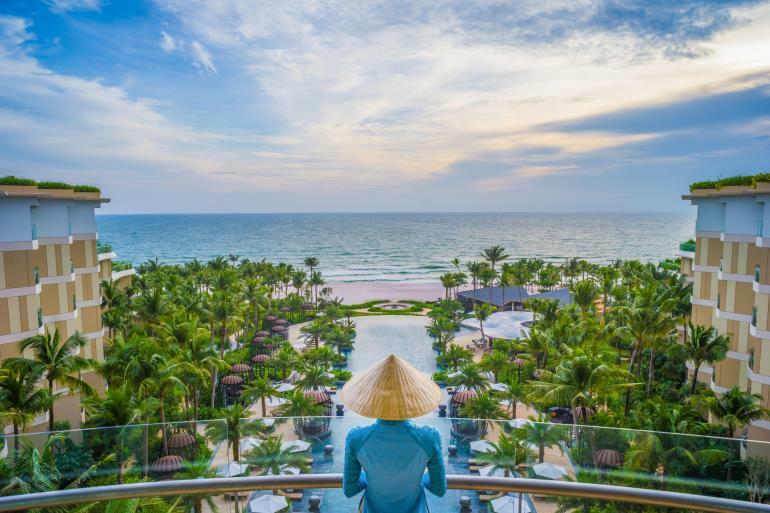 Denham, United Kingdom, 2018-Jun-29 — /Travel PR News/ — InterContinental®Phu Quoc Long Beach Resort has opened its doors, the latest addition to the InterContinental® Hotels & Resorts brand in Vietnam, and the 1000th IHG® (InterContinental Hotels Group) property to open within the Europe, Middle East, Asia and Africa (EMEAA) region. It is located on the pristine Phu Quoc Island, a UNESCO World Biosphere Reserve off the southwest coast of Vietnam. With captivating activities and thoughtful attention tailored for younger VIPs, InterContinental Phu Quoc Long Beach Resort is an entertainment paradise for children. The 250 sqm Planet Trekkers children’s clubarranges numerous recreational activities and enriching excursions designed to both entertain as well as broaden the horizons of children of all ages. Providing a safe and engaging space where parents can feel comfortable leaving their children in the hands of the well trained staff, all of whom are certified teachers, the children’s club offers an array of activities that include children’s yoga, arts and crafts, beach volleyball and magic classes. The resort also boasts the dedicated Kids Can Cook cooking school where younger guests can learn how to make their favourite dishes under the guidance of the resort’s professional team of chefs. This entry was posted in Beach Holidays, Hospitality, Hotels, Resorts, Travel, Travel Management, Travel Services and tagged IHG, InterContinental® Phu Quoc Long Beach Resort, Vietnam. Bookmark the permalink.